Tweak It! 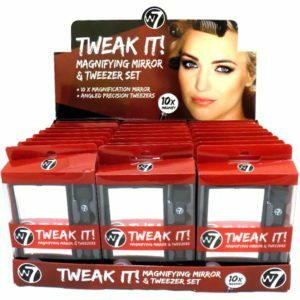 The magnifying mirror and tweezer set! Can’t seem to catch those pesky hairs until it’s too late? Tweak It! has a super magnifying mirror to highlight stray and unwanted hairs for you to remove with the tweezers provided! Mirage Cosmetics © 2019. All Rights Reserved.